Conceptualized and designed by Daniel Alonso and the Bonhomme Hospitality Group (Black Bull, Celeste, Disco, Fulton Market Kitchen), Bordel is a hidden, craft cocktail bar inspired by Paris' Belle Époque and Chicago's Prohibition Era. 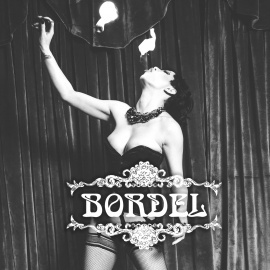 Distinguished by eclectic interiors and a weekly theater of varieties, featuring a rotating cast of jazz musicians, burlesque performers, magicians, cabaret dancers, and more, Bordel has become one of Chicago's favorite speakeasies. Craft drinks fuel the vibe at this bordello-inspired lounge offering a variety of live performances.